2014 GMC ACADIA Printer Friendly Flyer. 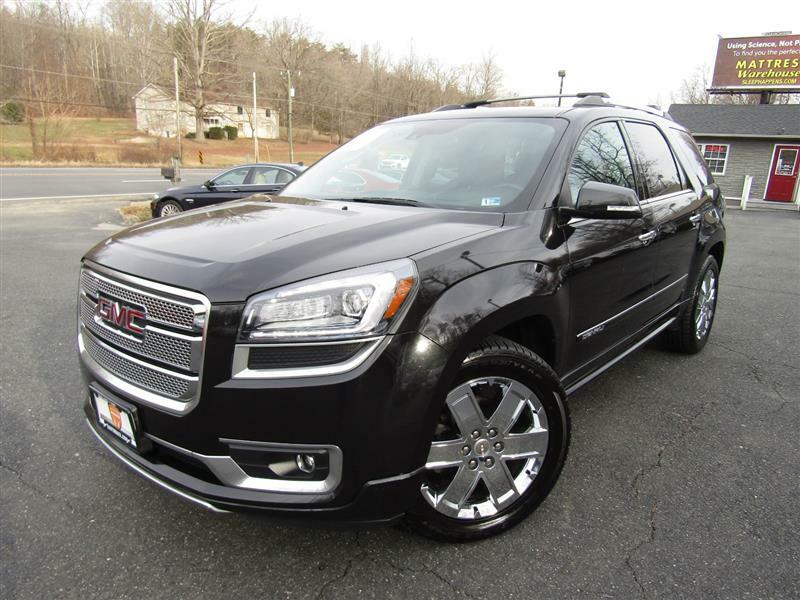 The 2014 GMC Acadia is a large crossover SUV offered in Denali trim level. The Denali comes with 20-inch chrome-clad wheels, a panoramic sunroof, forward collision alert system, lane departure warning system, increased sound insulation, a wood-trimmed steering wheel, power-folding mirrors, driver memory functions, an eight-way power passenger seat, ventilated front seats, the Technology package, which adds xenon headlights, a head-up display and cargo area audio controls, foglamps, variable-effort steering, heated mirrors, tri-zone automatic climate control, leather upholstery, heated front seats, an enhanced trip computer, rear-seat audio controls, a 10-speaker Bose sound system, remote vehicle start, a power liftgate, an eight-way power driver seat (with two-way lumbar), a two-way power passenger seat (manual recline), an auto-dimming rearview mirror, the Intellilink electronics interface that includes voice controls, Bluetooth audio connectivity and smartphone app integration, automatic headlights, a rearview camera, rear parking sensors, rear privacy glass, keyless entry, cruise control, rear manual air-conditioning control, tilt-and-telescoping steering wheel, OnStar telematics, Bluetooth phone connectivity, a 6.5-inch touchscreen display and a six-speaker sound system with a CD player, satellite radio, HD radio, a USB port and an auxiliary audio jack. Every 2014 GMC Acadia is powered by a 3.6-liter V6 that produces 288 hp and 270 pound-feet of torque. A six-speed automatic and all-wheel drive are standard.